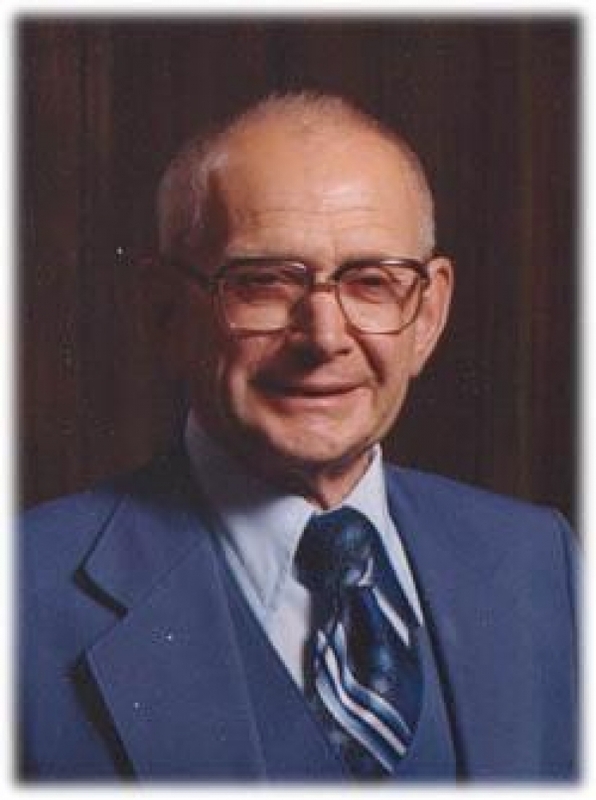 On March 7th of 2005, at the age of 86, the finest example of fatherhood this world may have ever seen, passed away. We live in a world that has stumbled and lost it's way when it comes to family values, and more specifically, fatherhood. Believe me, during my rebellious, teenage years, I did not always think so highly of my father. However, as a grown woman with children and grandchildren of my own now, I have come to realize how truly exceptional this man was. My dad grew up in an a time when education was considered a luxury, not a necessity. By today's standards, he would have had no more than about a grade 4 or 5 education. Yet this man could read, write, weld (with exceptional skill), communicate at the same level as any college graduate, and was even the treasurer of his church for many years. He walked over 40 miles as a young man, just to find employment, and continued from there to build a successful financial empire that supported at final count, a wife and nine children. His bottomless capacity for compassion and caring, coupled with an almost dangerous sense of humor, made this man a hit with everyone who had the good fortune to meet him. The simple fact that after eight children,(the youngest already twelve years of age), and with the light at the end of the tunnel in sight, Abram and Maria Friesen chose to adopt a troubled, four year old little girl - gives testament to his character. His career had already spanned a lifetime, and yet he never hesitated at the idea that he had prolonged his obligation to his children for several more years. Let me quickly explain, for those who may not understand. Adopting a child, although a wonderful experience, can also be a difficult and trying adventure. Any time you bring change to a household, especially one with teenagers, there are going to be hills to climb. Add to that, a child that is already four and half years old, stubbornly set in her personality, and who has never had a family or known the safety of a non violent household - and you have a recipe for grey hair and heartache. Believe me, I understand very well the sacrifice and patience that were required to handle this fragile, volatile little personality - because I was that little girl. I most certainly can testify to the grey hair and heartache, because I made my parent's lives a living hell for many years. My father was a very devoted Christian, who firmly believed in the concept of "Christ at the head of the home" and all that goes with a staunch religious standing. Every morning by 7:15 am, we were up, dressed and planted at the kitchen table for morning devotions. As a child, and most definitely as a teenager, I found this to be annoying and just down right inconvenient. We were herded to church every Sunday (yes, even if you babysat til 3 am the night before). We were raised in the good old fashioned cloak of manners, Godliness, Cleanliness and healthy fear of dad! Now let me unfold for you, the outcome of the life my father lived. All those many years of faithfulness to his God, his wife and to his children, have left my dad with an amazing family legacy. Whether or not you personally, believe in God or religion or whatever - is really quite irrelevant to me. Whether or not you believe in the power of prayer etc. is inconsequential. However, my father did believe and here are some facts that are somewhat "interesting" at the very least. After all those dedicated years of morning devotions, and praying (individually yet) for each member of his family, every night before crawling into bed, my father left behind a statistical anomaly. At the time of his passing, he had nine children, each of them with spouses, twenty-four grandchildren; twenty-six great grandchildren; and two great great grandchildren - who are to this day ALL alive and well. My father prayed that he would not have to bear the pain of burying a child before himself, and believe in God or not - he was granted his desire! With the exception of the late addition, all of his children grew up to be mature, responsible members of society, free of criminal records, or downfalls in character. All have continued on, the legacy of raising strong moral households. Although, my troubled childhood made me a little bit slower on the moral track, I too have actually turned out quite okay. Tell me this story is not the definition of "A Successful Father."